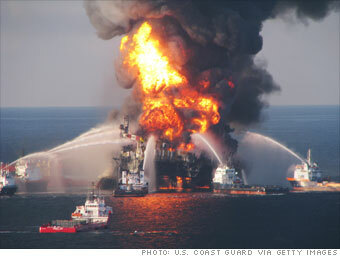 BP's big oil spill made former CEO Tony Hayward the hands-down winner in our 2010 list of dumbest moments in business. But bad spill-related choices didn't end last year. This past April, Transocean, which owned the rig that exploded in the Gulf, claimed in its proxy statement that 2010 was "the best year" for safety in the company's history, "notwithstanding the tragic loss of life in the Gulf of Mexico." Even worse, top Transocean execs were eligible to receive $898,282 in bonuses, in part because of the company's safety record. Nine Transocean workers died in the Deepwater Horizon spill. It was an about-face from 2009, when the company withheld executive bonuses due to an event that killed four employees. NEXT: Kenneth Cole sale sparks Arab Spring?